Joaquín Blanco and Joel Rodríguez fought the closest battle on the second day of the International Gran Canaria Trophy (Trofeo Isla de Gran Canaria), which finishes on Sunday in the bay of Las Palmas de Gran Canaria. The two Real Club Náutico de Gran Canaria sailors are evenly matched going into the final day, with a slight advantage for Blanco, who’s jumped from sixth place to the head of the classification table. The pre-Olympic sailor won two of Saturday’s three races. 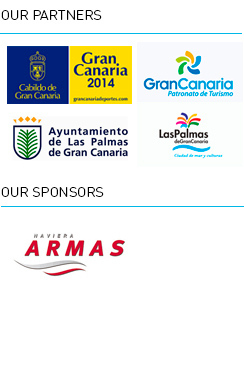 Representatives from 16 countries are taking part in this international regatta, the third event of the Gran Canaria Sail in Winter programme, which is organised by Real Club Náutico de Gran Canaria with the support of the Gran Canaria Cabildo and Las Palmas de Gran Canaria City Hall. The weather conditions changed dramatically today for the second day of racing. After starting out with southeast winds of 14-15 knots, the day ended with 10 knot winds, allowing all three scheduled races to go ahead. Sailors also encountered a short wave from the southeast and a long wave from the northeast, which complicated sailing. The other important news of the day was in Laser Radial, where the lead was taken by Alison Young, Olympic sailor at London in 2012 and member of the British sailing team. Young stole the lead from Canary Islander Luis Cabrera (RCNGC), who dropped to second place and is followed by Chloe Martín, the other British sailor racing this weekend at RCNGC. In Laser 4.7 the lead also changed, as Patricia Reino (RCNGC) gave up her first place to Alfonso Fernández, from Real Club Náutico de Tenerife. In second place is Carlos Pavillard, also from RCNT. In 470 Nahuel Rodríguez and Nicolás Rodríguez won the three races during the second day, taking them to first place in the classification for this small fleet, ahead of the Russian and Finnish teams. In the 2.4mR Paralympic class the Swedes continue to dominate, with Hans Asklund maintaining the lead. 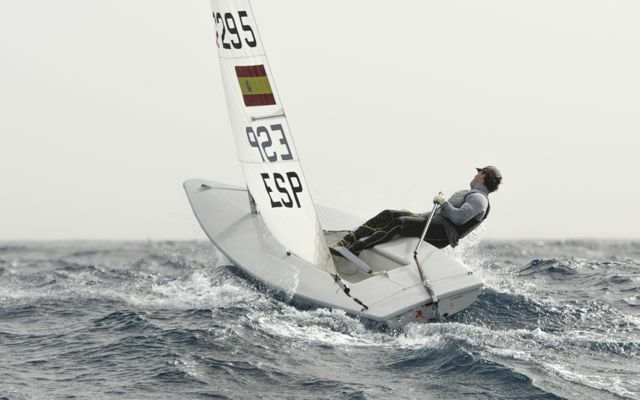 The first Spanish sailor classified is Pablo García, in sixth position. The Paralympic class is new to this season’s Gran Canaria Sail in Winter programme and is a step forward for the host club, which is aiming to boost the level of this class. Techno (boards) had its first day of racing today. Britain’s Joshua Carey is in the lead with a third and two firsts. He’s followed by RCNGC team members Eduardo Santana and Javier Rodríguez. Magüi Suárez, the only girl competing in this class, had a very good start but was penalised for being over the line in the third and final race, finishing fourth. Three races have been scheduled for Sunday, the final day of competition, and the award ceremony should start at around 16.00 hours. Similar wind and sea conditions are expected, as well as an exciting final in all classes, as the points in the top places are very close.